"I cannot adequately express how welcomed, supported and appreciated we feel by you and your entire organization. The GRSA is a model sports-directed civic support organization. Your love of our wonderful city and commitment to its success and future development is evident in all that you do. Both the City of Oaks Challenge and MAPL Raleigh were tremendously successful. Again, we cannot thank you enough for your enthusiasm and support of what we do." "I can say being here in Cary is like heaven. It&apos;s coming home. I&apos;m not a big social media guy, but my post on Friday when we got here was &apos;We&apos;re back where we belong, where people know your name and care about this event." "It&apos;s key for Raleigh to have a place like this. The feedback from people is they love coming to Raleigh and being part of the event...Who would have thought five years year ago that Holly Springs would be hosting the biggest lacrosse weekend tournament in the Triangle? It&apos;s one of the biggest events in N.C. and the Southeast. It&apos;s another feather in the cap for our area." "GRSA is hands down the best sports commission/CVB we have ever worked with. Even though our event wasn&apos;t a huge one, you guys made us feel like we were extremely important and that means a lot to us. You guys treated us like kings while we were down there, and we can never thank you guys enough." "Everyone associated with Sir Walter is so friendly and welcoming, from the race staff to my host families and the locals who join in on our run the morning after the race. It&apos;s pretty special as a runner to have a chance to share your story with the community, and with this being my third year back, I feel like I&apos;m making a connection there." "[We are] beyond delighted to get started on 2018 with GRSA and a city that rolls out the royal treatment for the Rock &apos;n&apos; Roll community. I&apos;m truly at a loss for words by how accommodating and welcoming the entire city was, a lot which I know your organization had a hand in facilitating. From the hotel itineraries, printed race weekend information in hotel lobbies, welcome signs across town and on the street light poles, down to the little balloon running men. Not that I would expect anything less from Raleigh, let alone having worked with you over the past months, but I can truly say I&apos;ve never been to a city that embraced us on race weekend as much as Raleigh did. Amazing Southern hospitality. Thanks again. Can&apos;t wait to get started on 2018." —Cecilia Lindsay, Competitor Group, Inc.
"We travel to college regattas all over the country, but there&apos;s something special about having a home regatta in Raleigh. Visiting sailors and coaches who come to Raleigh enjoy the hospitality and a community welcome like few other sailing venues. We could not have asked for a better partner than the Greater Raleigh Sports Alliance to host and promote the 2016 SAISA SailPack Women&apos;s Regatta. They understand how great a place Raleigh can be for a college sporting event and were great to help us grow our event. Their knowledge of community resources for hosting, housing and hospitality were integral to the success of our regatta." "Senior Softball welcomes the opportunity to work with the Greater Raleigh CVB and the staff at the Walnut Creek Softball Complex. We run tournaments throughout the United States and enjoy partnering with the Greater Raleigh team because we know everything will run smoothly and we will be able to experience the Southern hospitality at its best." "[The 2015 NCAA Women&apos;s College Cup] at WakeMed Soccer Park in Cary, N.C., marks a welcome return to a venue that has hosted the championship seven times since 2003 and would be a wise choice if the NCAA ever followed its baseball and softball model in establishing a permanent home for the event." "Our entire program can&apos;t stop saying positive things about their experience [at the NCAA DII Baseball Championship] this year. Every time I visit the Raleigh and Cary area, I realize more and more that the attitude and demeanor of everyone there rises above and beyond any expectations that an outsider could possibly have. Thank you for your incredible amount of hard work and dedication to not only Division II Baseball, but to the institution of sport in general!" "All done in Raleigh - great hospitality from the folks here, and big thanks to all the players and coaches who were great with our crew." —J. Burnett, Cowboy Outdoors, Inc.
"First I want to thank you and your entire staff for yet another stellar championship. It has truly evolved into a championship event and not just another tournament. There is no doubt this is due to your organization’s commitment to the NCAA and the championship. For the past five years I have continued to be amazed at how efficient, organized and hospitable you have all been. It is quite obvious this is an important event for the entire area and the growing support from the local communities is solid evidence. I have heard only positive comments which in today’s society is rare. You should be very proud of the event and most importantly your people involved." "I have to say, without a doubt, that Rock ‘n’ Roll Raleigh met all of my expectations for a big race: a beautiful course, amazing fan support, a great expo, great post-race activities…The crowd support was amazing….I thoroughly enjoyed the expo, the race and the post-party and believe most in Raleigh felt the same. My non-runner friends who met us at the amphitheater thought it was amazing, too." "I could not have asked for a better first experience doing an Ironman 70.3 It was an awesome city to race in with incredible volunteers and wonderful spectators. I&apos;ve done many running races before, but the spectators yesterday were like nothing I&apos;ve seen. Thanks for a very memorable first half (Ironman)!" —Olivia Vitale, IRONMAN 70.3 Raleigh finisher from Mo. "I recently visited the beautiful city of Raleigh for a wonderful girls basketball tournament at the Raleigh Convention Center. The city is so clean and the roadways well-maintained. We had a wonderful stay at our hotel and visited many of your fine local colleges. But the reason I am writing is about the people. I have never been to such a friendly city! Everywhere we went, the people said hello, asked how we were and really meant it! People we encountered were happy, relaxed and so helpful. It has changed my outlook on life and how I deal with people. I live in the Boston area where people keep to themselves and don&apos;t usually even say hello to someone passed on the street. Visiting Raleigh has changed me. I am a nicer person, and I am finding it so rewarding to reach out to people I come across in my daily life. I learned this from the people of Raleigh. Thank you! I hope to visit again soon!" "The USA Baseball-Irish Classic ... this is our second year; it&apos;s just a superb partnership with USA Baseball, the Town of Cary and Greater Raleigh Sports Alliance. The hospitality and weather have been phenomenal. The people here have been more than accommodating and our players love this competition." "It was a great collaborative effort between a lot of different people. This thing happened because of the spirit ... the cooperation of the police, the civic authorities, the great convention center they have. I&apos;ve been going to All-Star Games since 1990, and this was the best All-Star Weekend I&apos;ve ever attended. And a big reason why, not just the players on both teams, not just because of the NHL and their great ideas, the people of North Carolina, the city of Raleigh, and the great corporate communication they had all over." "I thought Raleigh put on a terrific show this weekend. I was frankly shocked at what a buzz there was around the community." "I wish I was a talented enough writer to express what a great job [GRCVB] and your team did with the [NHL] All-Star Weekend. Fantastic in every sense of the word. Thanks for all you guys did. Wow!" "We often hear about and talk about "non-traditional" hockey markets. That phrase has been used many, many times about Raleigh. Well, here&apos;s a news flash: Raleigh is becoming a pretty good hockey city. Carolina did a terrific job hosting the All-Star Weekend. Fans were lined-up around the block to get into the Fan Fest at the city&apos;s new Convention Center. And, as usual, they were out early tailgating before both the Skills Competition and the All-Star Game. Congratulations, Raleigh. You were a great host." "Thanks for all you do to make this championship great. I love telling other hosts that Cary is the &apos;template for success.&apos; You guys just really know how to come together and put on a great show for student-athletes, fans and us." "When they look back at the history of the N.C. 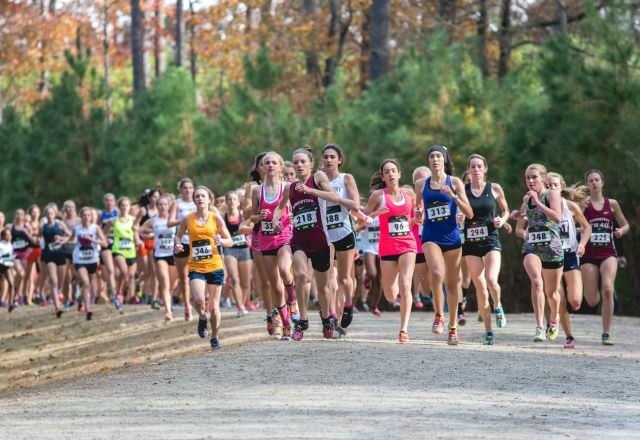 Athletic Association and write about the five most important developments to ever take place, one of the top five will be the decision to put the majority of our state championships in Raleigh. It&apos;s been incredible. It&apos;s been an absolute dream. Raleigh is our City of Championships, and I hope it always will be."